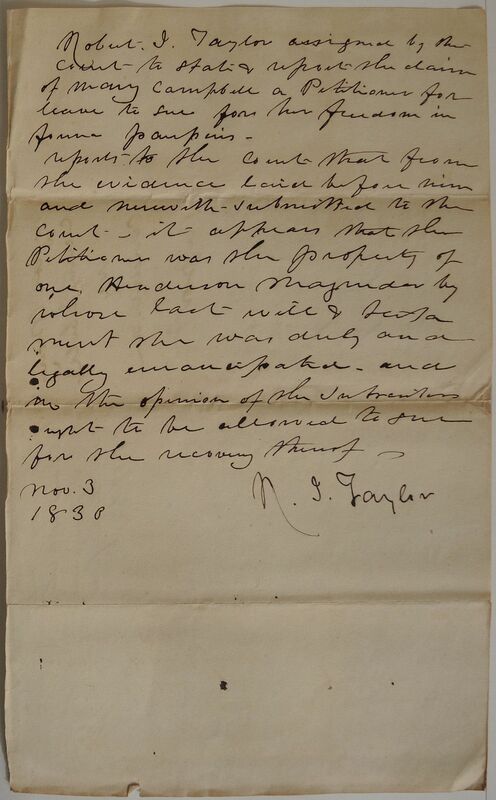 Robert I. Taylor assigned by the Court to state & report the claim of Mary Campbell a Petitioner for leave to sue for her freedom in forma pauperis. 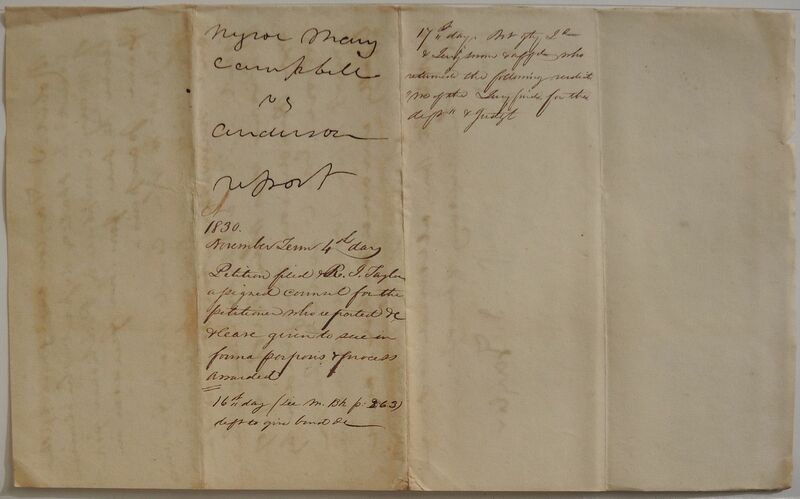 reports to the Court that from the evidence laid before him and herewith submitted to the Court, it appears that the Petitioner was the property of one Henderson Magruder by whose last will & testament she was duly and legally emancipated. and in the opinion of the subscriber report to be allowed to sue for the recovery therof.